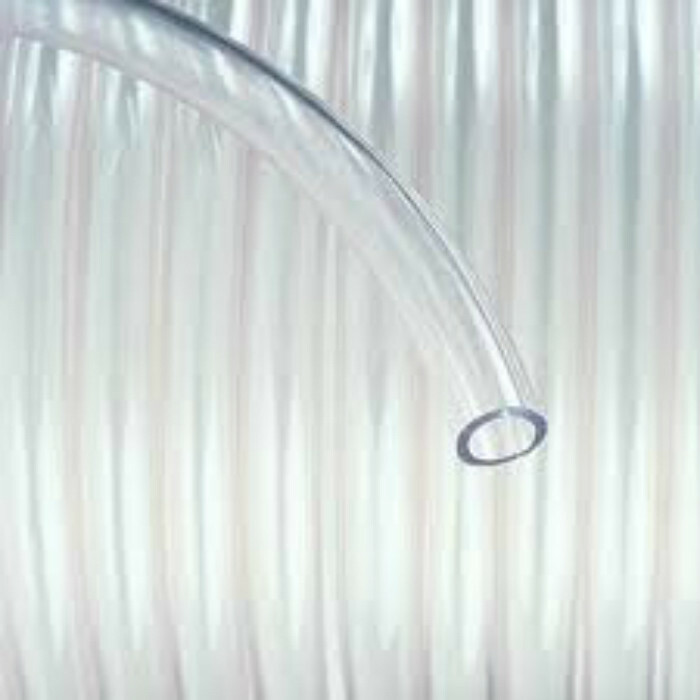 PVC Hose Tubing - 1.5mm Wall PVC Tubing - Clear Unreinforced Tubing with High Gloss Crystal Clear Appearance. Ideal for repairs of vehicle air breather pipes and washer hose connections. Suitable for use in ponds and aquariums. Flexible PVC tube ideal for conveying liquids, water, gases, powders and granules. Manufactured on site in UK from the best material that the industry has to offer. High gloss crystal clear appearance with glass smooth interior to reduce sediment build-up. Temperatures: -20°C to +55°C. Occasional use up to +65°C. Cold bend temperature -45°C. Smooth bore that ensures an excellent flow rate of the contents. Full visibility of the flow of contents. Excellent chemical, corrosion and abrasion resistance. Raw material is Silicone and Heavy metal free. Raw material conforms fully to RoHS & Directives.